Seeing our K-drama faves IRL? What. An. Experience. I'd like to think I'm not one to fangirl hard in real life (Squealing, shrieking, and calling out longingly to my idols? PASS)—or so I thought. 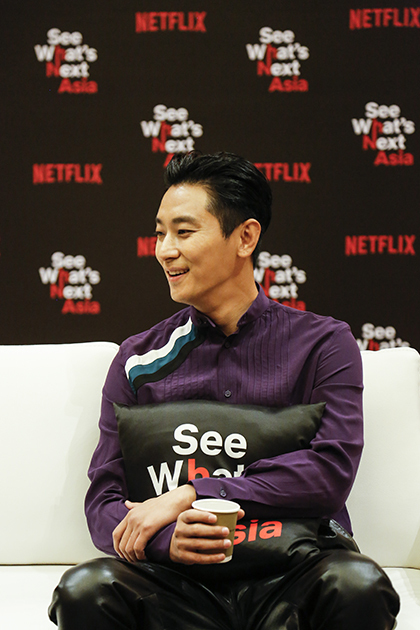 This was exactly the case when I attended Netflix's See What's Next: Asia event in Singapore where seven Korean stars met with the press to talk about their upcoming projects under the entertainment streaming service. Although I had to keep my cool (being utterly ~profesh~ and all), my K-drama obsessed heart just burst with fangirling joy. The actress, who most recently starred in the drama What's Wrong With Secretary Kim?, is back to serve us many LOLs in the "whodunit" variety show Busted!, which will be back for its second season. On what she learned about herself after the first season: "I used to like mystery solving and case solving but I never had the opportunity to do so myself before Busted! I think that is one of the abilities I gained while filming Busted! And I have earned the ability to solve the puzzles." On his character: "My character is free-spirited with a warm heart." 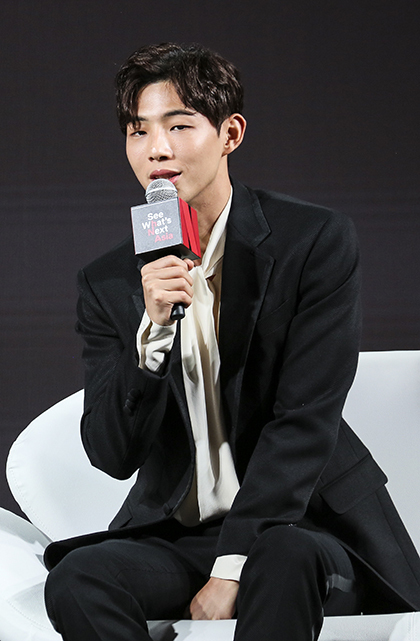 On previously always landing the "tough guy" second lead roles: "People are multi-dimensional and, as for me, based from my looks, I give a masculine vibe so my roles are limited." The K-pop idol from the girl group DIA and newbie actress will be starring alongside Ji Soo in My First First Love. On her character: "Despite very difficult circumstances, she is a strong-willed and unstoppable girl. She makes a lot of mistakes but she still carries on." The main cast of My First First Love is complete with Jin Young, an all-around entertainer who starred in the drama Love In The Moonlight. 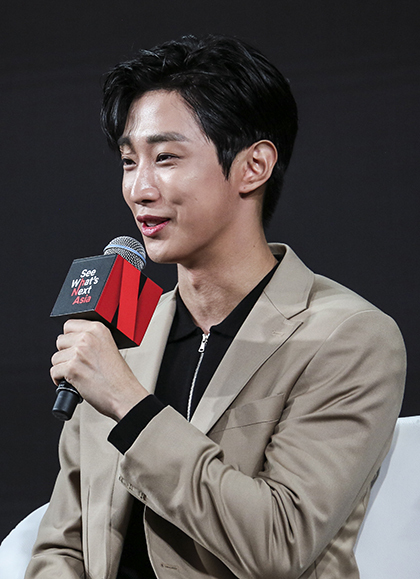 On his character: "He's not very skilled at first love but chases his dreams." On what he loves about the drama: "It's so based on reality. We deal with a lot of realistic issues like money problems, And that's what I'm drawn to." Fans of While You Were Sleeping would recognize So Hyun after making a cameo appearance in the drama. 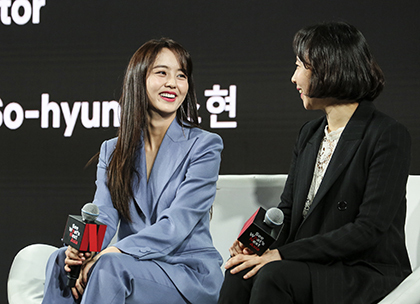 The actress will be starring in Love Alarm, a new drama about a mobile app that detects people with romantic feelings for its user. 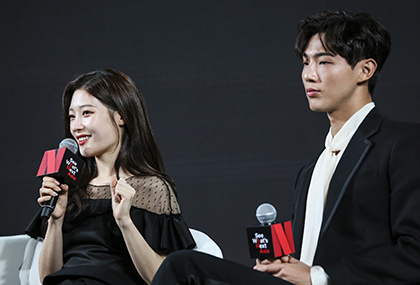 Her thoughts after reading the script: "It reminded me of the first love experience that I had." One of the OG K-drama actors, Ji-Hoon first captured our hearts in Princess Hours. Ji-Hoon will be starring in Kingdom, a Korean Netflix Orginal series. We heard this period drama is of ~epic~ proportions! On his character: "He's a crown prince living in a safe bubble in the royal court. In the beginning, he doesn't fight for a greater cause; he doesn't have any great ambition or dream. You have to bear the weight of the crown, that's what they say. Kingdom is about his journey of being a good king." Who can ever forget Seung Ryong from the tear-jerker Miracle In Cell No. 7? 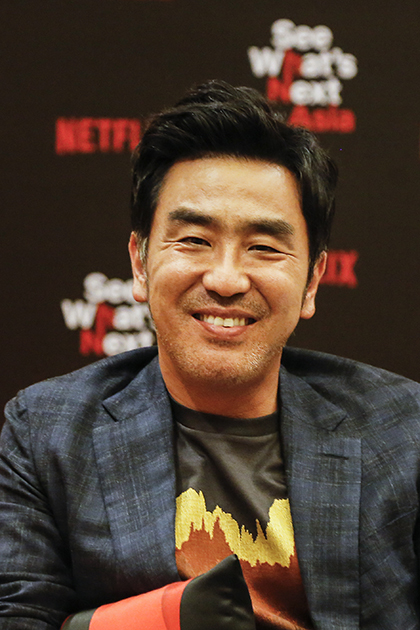 The veteran actor is also starring in Kingdom with Ji-Hoon. On his character: "He has the desire for power, hunger for power. He fights for this power. He manipulates the crown prince and his daughter." Busted! Season 2, My First First Love, Love Alarm, and Kingdom will all be released on Netflix in 2019.